Two of our favorite ingredients are in season right now! !...Strawberries and Rhubarb, A match so heavenly we married them to produce one of our best selling syrups! It has like all our other syrups a multitude of uses... 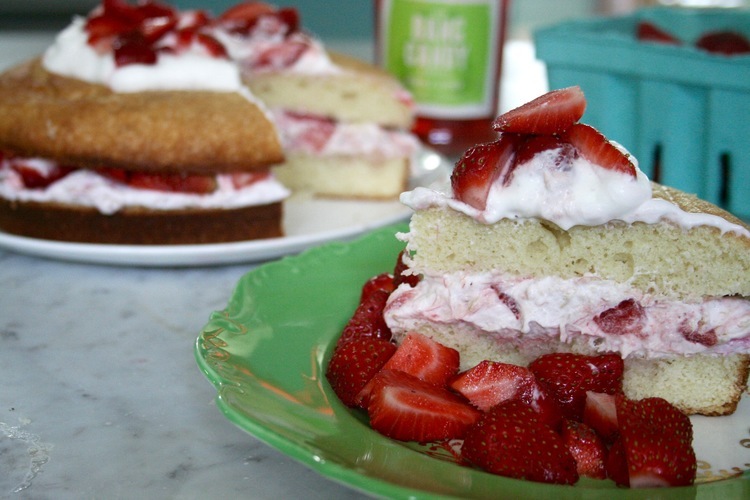 This yummy cake is perfect for an early summer picnic! Whilst the cake is baking you can also cook the rhubarb in the oven. 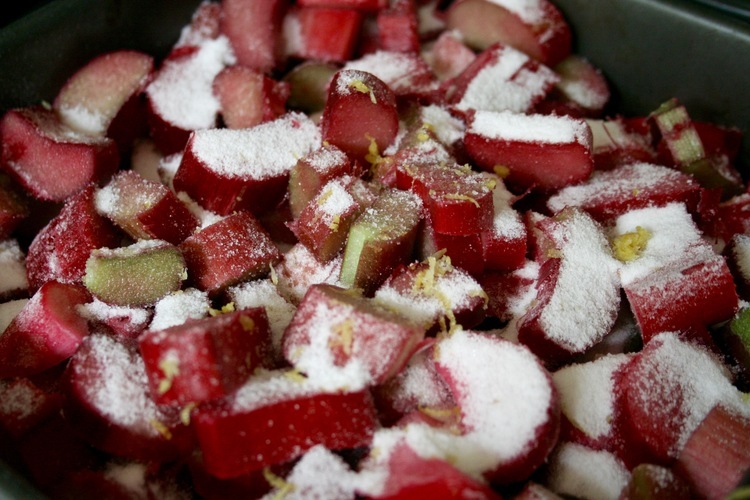 Cut rhubarb stalks into coins and place in a baking dish sprinkle sugar over and the zest of a lemon, cover with lid or foil and cook for 30 mins. divide the cream between two bowls and fold the Rhubarb into one. Time to assemble the cake!! Heat up 4 oz of Strawberry Rhubarb Simple Syrup and drizzle half over the dry cake. 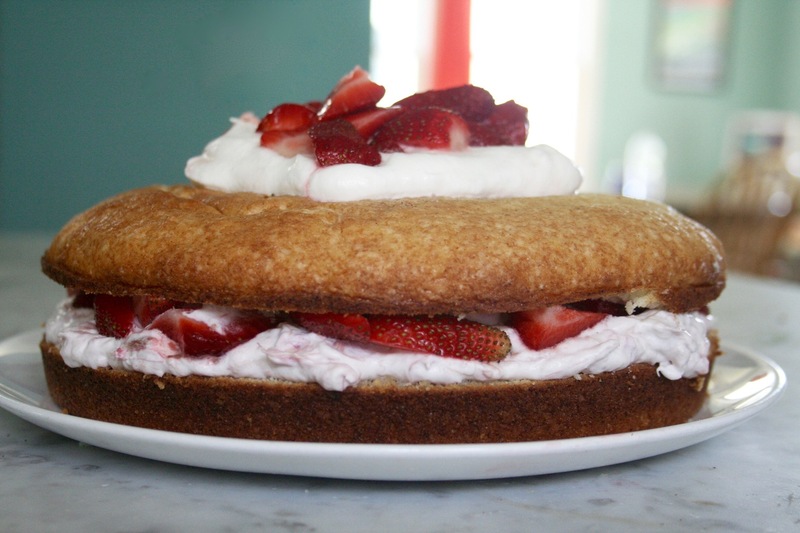 Let cool, add the rhubarb fool, spoon half the strawberries over and add the next layer of cake. Spread a beautiful picnic blanket out and delight in the beauty of fresh summer flavors! Copyright © 2019, The Bang Candy Company. All Rights Reserved.